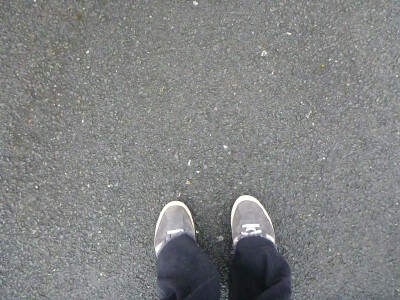 A calm Northern Irish wind reared its obvious head as I made the walk down to school. I hadn’t done my homework, my handwriting left a lot to be desired but I was on time, I had a grey shirt and school tie on and I was buzzing. I wasn’t a pupil any more however. It had been over 30 years since the day I first passed through the doors of Kilmaine Primary School in my hometown of Bangor in Northern Ireland. September 1984. Over 30 Years. I didn’t feel that old, but facts don’t lie. This was the afternoon of our 30 year reunion of our P1 class. We started shyly back in 1984. 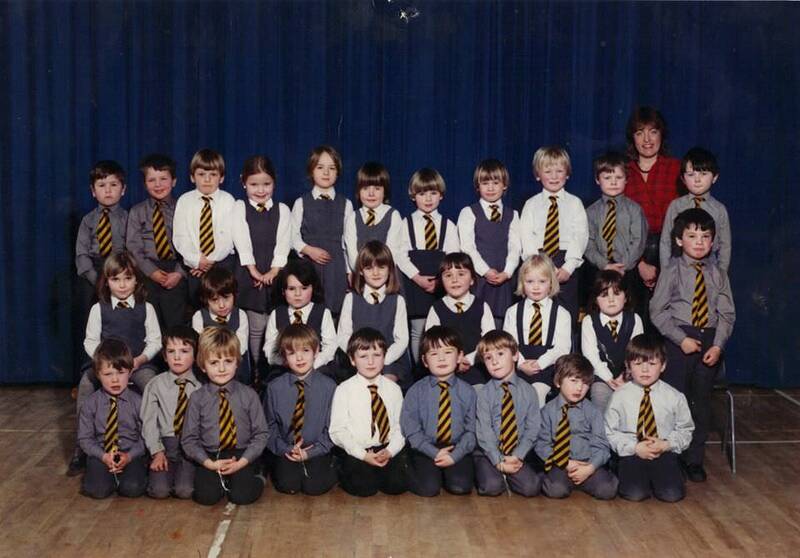 By some miracle of judgment my Mum had bought the P1 school photograph of our class back in 1984. You’ve got to remember what happened in 1984. George Orwell’s book gained significance. Rocky films were all the rage. George Michael (solo), Wham and Stevie Wonder all had number one singles. Northern Ireland was a “political war zone”, Margaret Thatcher was the UK Prime Minister and in football Northern Ireland were British Champions, World Cup Quarter Finalists and had just beaten West Germany, TWICE. 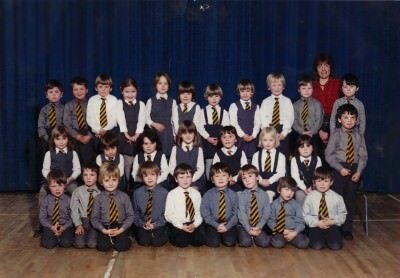 All that paled into insignificance as I started Primary School. 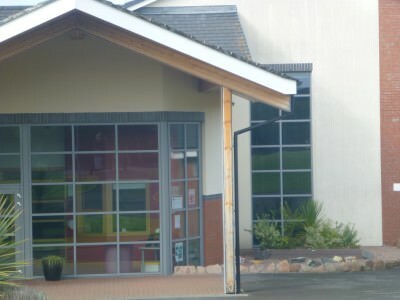 Silverbirch Road in Bangor, where Kilmaine Primary School sits. 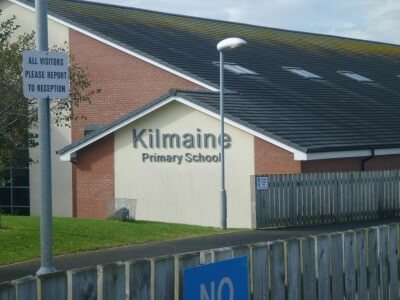 I went to Kilmaine Primary School in Bangor. At the time, a recent baby boom, an influx of new residents from Belfast and the safety of North Down meant there were lots of children on the streets I grew up on. Lots of children. There was always someone to hang around with. There was always an ice cream van on the streets in the afternoon. There was always a game of football down the park (Linear Park). Kilmaine had a high standard, we were one of the best schools in Northern Ireland. 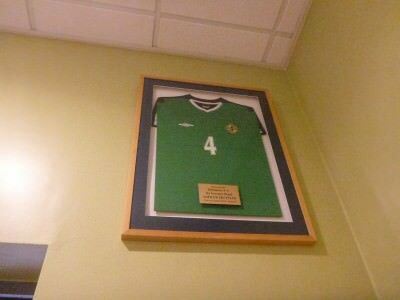 TV presenters like Zoe Salmon and Christine Bleakley passed through the ranks, rugby player Paul McKenzie and later footballers Gary Browne and Josh Magennis. 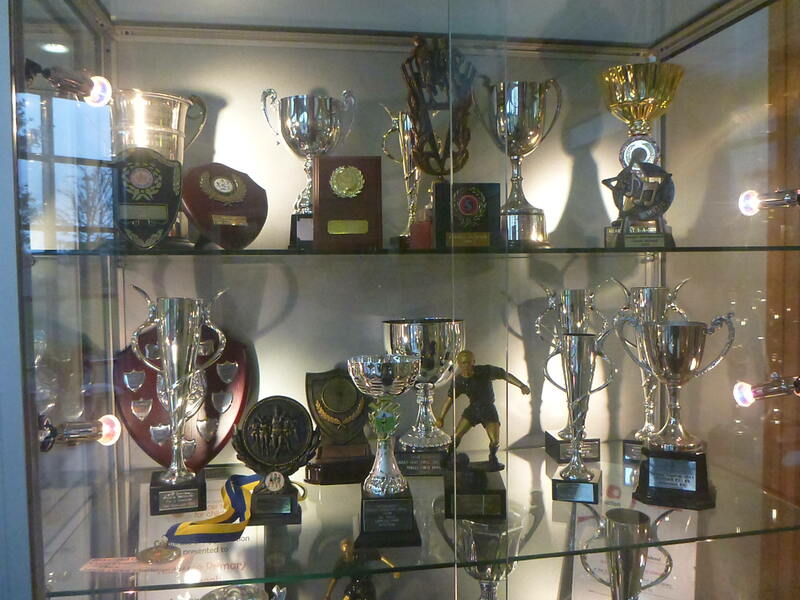 The school was hard working and ambitious, from its teachers down to its pupils and life was fun. 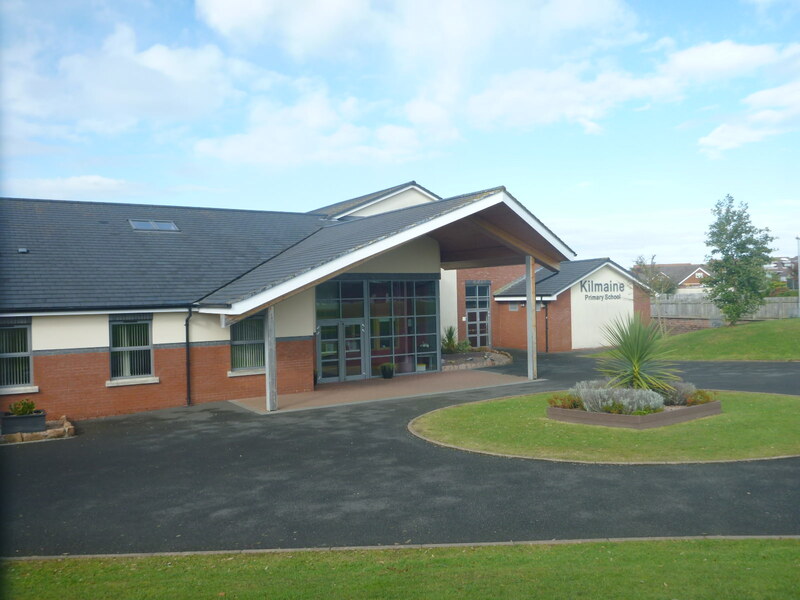 So after arriving back in Northern Ireland, I finally organised the school visit for 3.10 pm on the reunion day thanks to Joanna, the secretary. 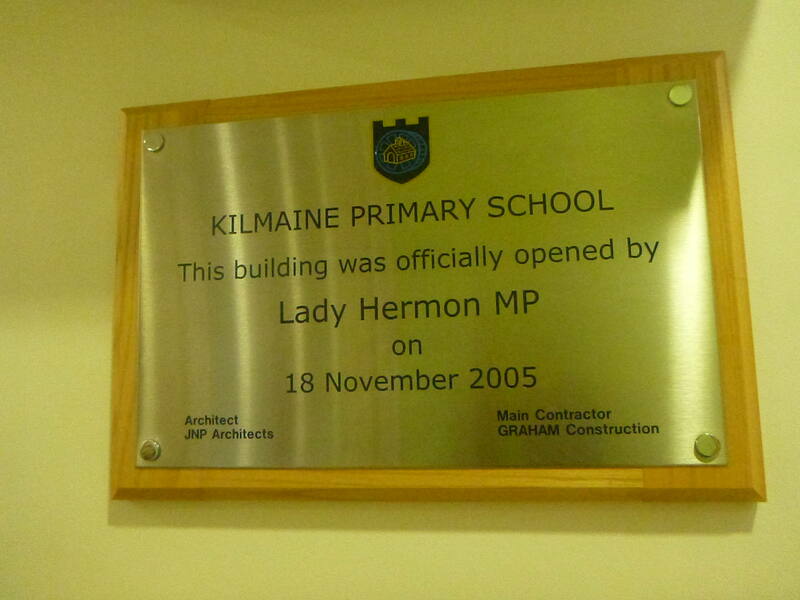 My P7 teacher Mr. Billy Rea would be there to meet us and give us a tour of the new Kilmaine. It was a windy wet Thursday. The type that Bangor does well. 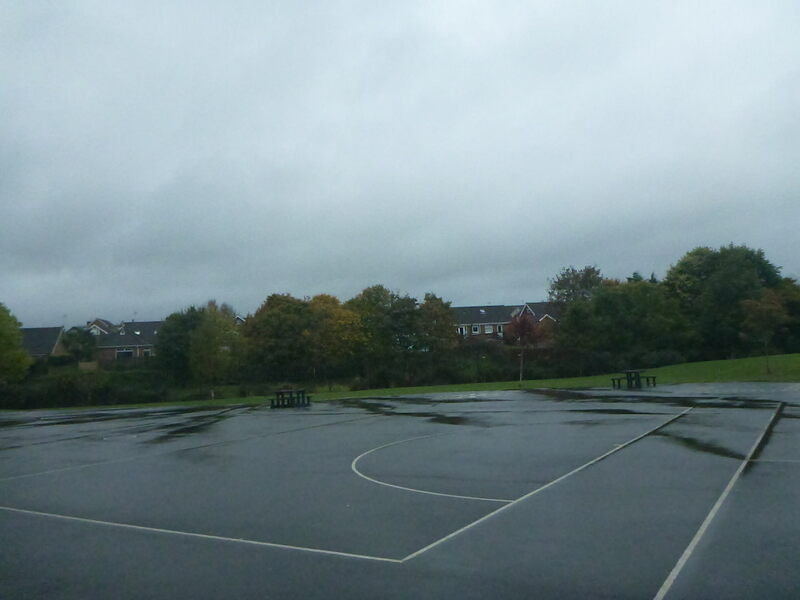 Non-descript, grey days as a kid where when I dreamed of better times when I’d become an adult. As a returning adult however, I was fairly content with my days as a kid and didn’t need the dreams any more. Those non-descript grey days were every bit as inspiring as the sunshiney days [sic]. On this particular day, Kilmaine Primary School sparkled in the grey skies above. It was always a gem. Today, there was an unexpected tear down my cheek as I arrived at the school and pushed the door of an entrance which didn’t exist in the 1980s. Tears on arrival at the new entrance to KPS. 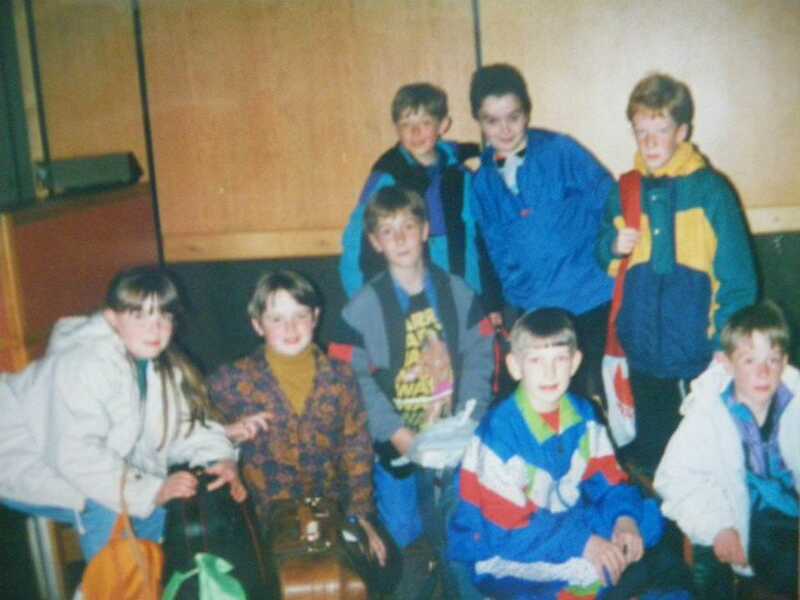 Those who know me well, they know I’d always been just a shy Northern Irish kid with lots of thoughts and ideas, some of which I never reveal. 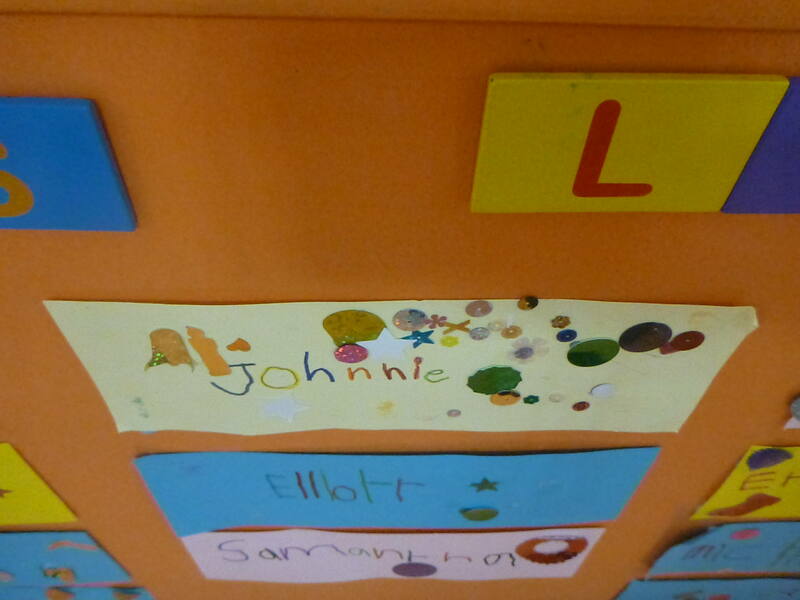 “I’m Jonny, an ex pupil” I mumbled nervously to the receptionist. Bangor people do welcomes with a flourish and they rarely do “rude”. Back as a visitor not a pupil. 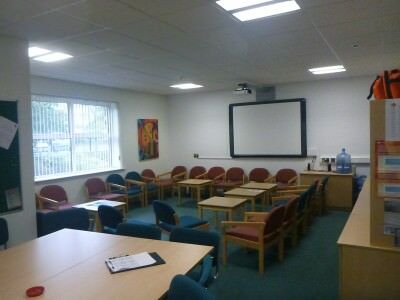 Within minutes I was spoken to by a few members of staff, my backpacking bag was left behind reception and I was shown to the staff room. A privilege obviously disallowed to me as an 80s child. “Want a tea or coffee?” I was asked. “Of course” and as I prepared my tea, in walks Sarah. 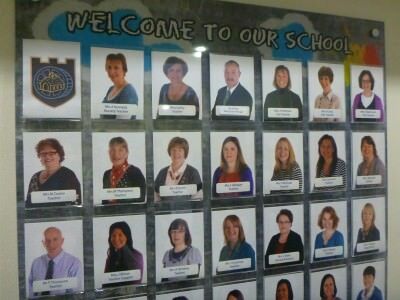 I knew she was in my class but I didn’t quite recognise her straight away. Again, shyly the words “Hi Sarah” came out and I got her a coffee and we took our seats in the staff room. There was no shyness anymore, there was no awkwardness. We were talking straight away. 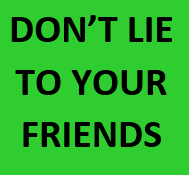 We knew each other, but that was 23-30 years ago. I’d swear I’d never seen Sarah Quinn since. Well it was now Sarah Bell of course. She’d got married. We started chatting. I was really happy to see her. Then in walks Billy Rea. Mr. Rea. He was our P7 teacher (1990-1991) and he remembered both of us, Sarah for her love of drama, me probably for the fact that I still had the same hairstyle and wore a Kilmaine tie for the day. I felt I hadn’t changed at all. I really felt it. To me, Billy Rea hadn’t changed. This is yesterday, but that fact didn’t quite register as the three of us sipped on hot drinks that reminded me of how much I miss Northern Irish people and the easy going ways here. A hot tea or coffee makes a difference and this is Bangor. It’s my home after all. 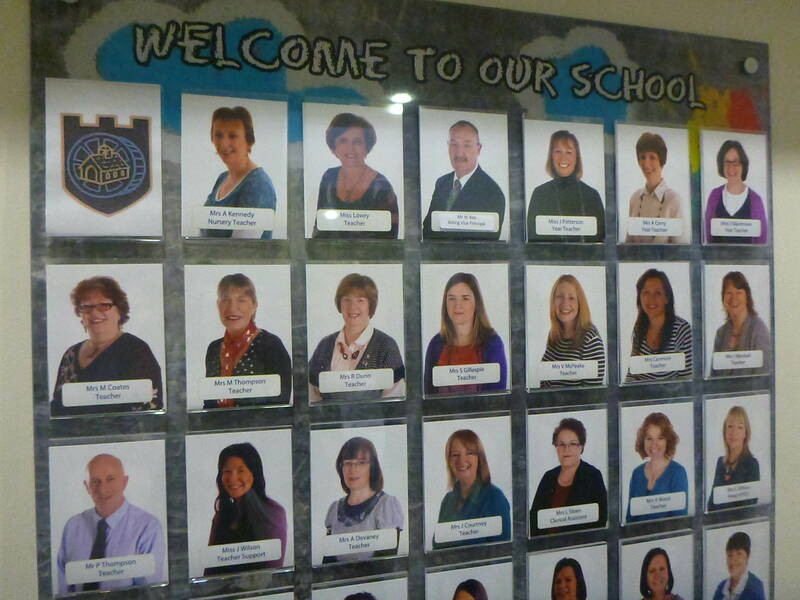 A few of the other teachers at Kilmaine, including Miss Lowry and Mr. Rea. 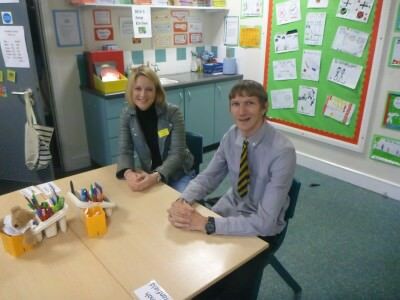 Miss Lowry (our P4 teacher) walks in and Sarah surprises me a bit by what she says. 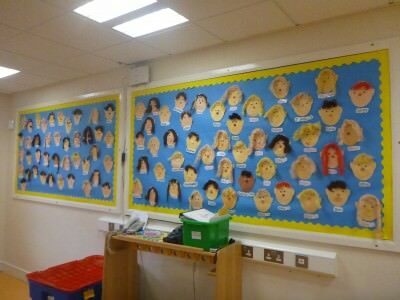 We soon realise that we had been in the same class for almost all of Primary School. Sarah and I. 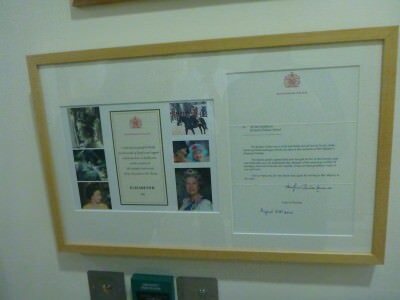 Miss Lowry remembered us both as well. It was true. 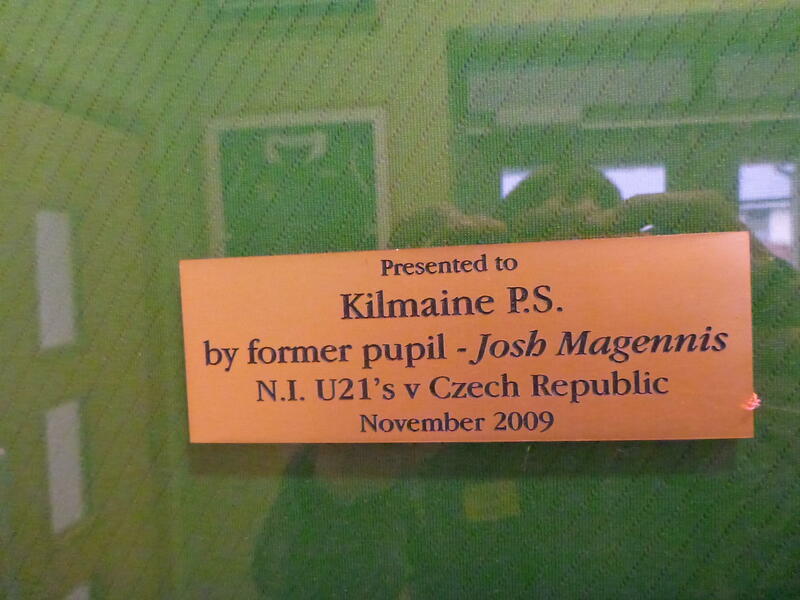 The teachers here in Kilmaine weren’t just teachers. They were not just doing their jobs. 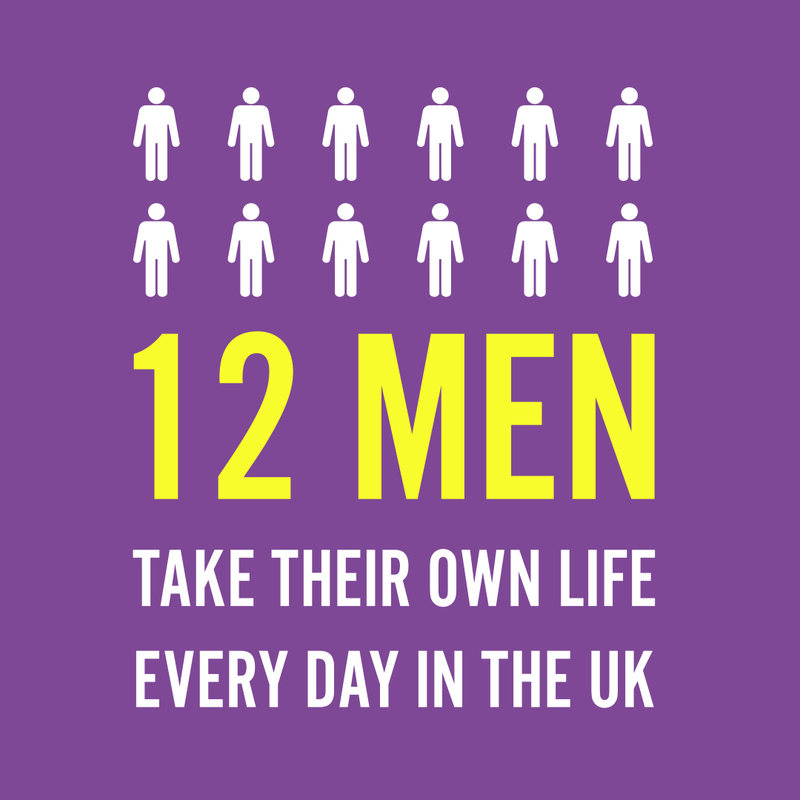 This was their lifestyle, their lifeblood, their passion. I could just feel it again – this time the tear held firm as I was in company. 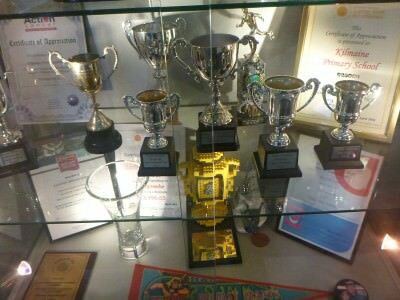 I knew Miss Lowry and Mr. Rea worked hard for years on end. “You must love it now though, it’s more relaxed” I ushered to Mr. Rea. 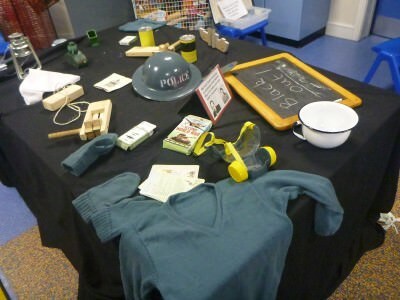 A chuckle made its way around the room echoed by the other teachers. I was wrong of course. It’s always tough for them. 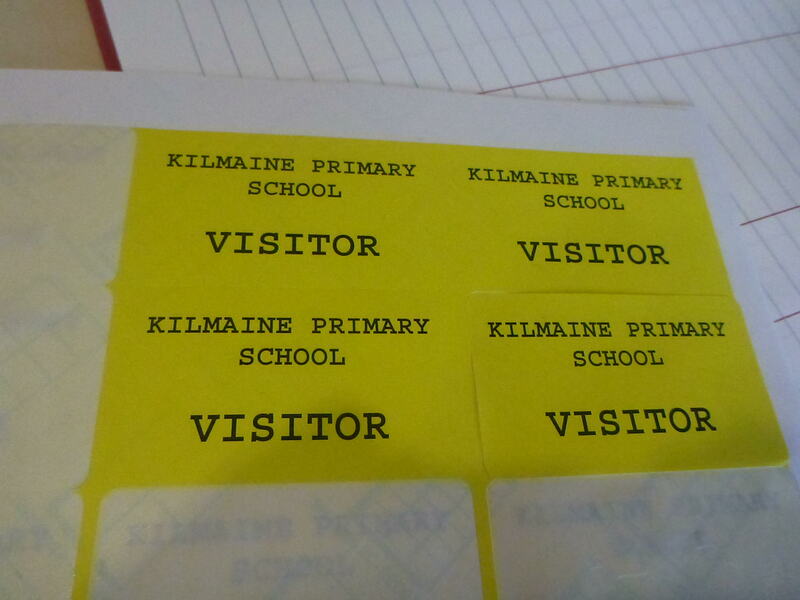 There are 630 pupils in Kilmaine Primary School at the moment. When I was there it was over 1,000. It was crazy. To the P1 classrooms first. 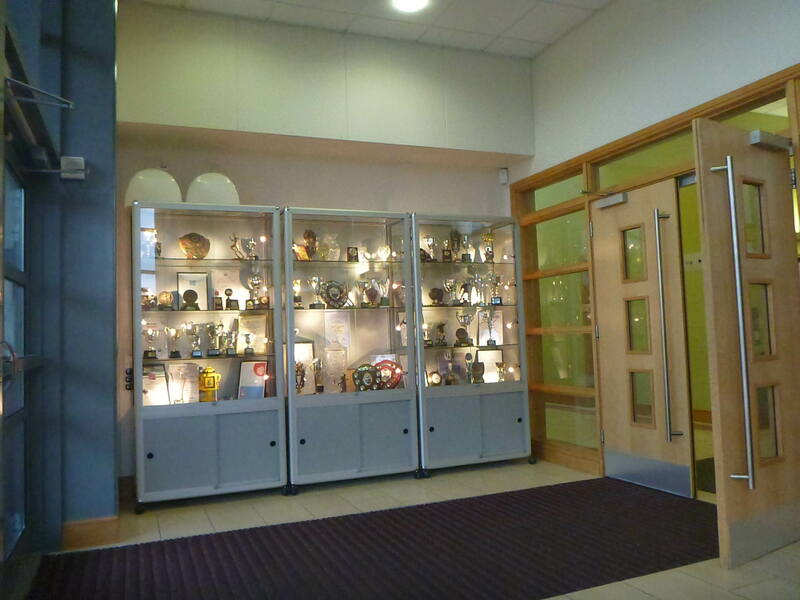 The tour of the school takes an almost chronological path. 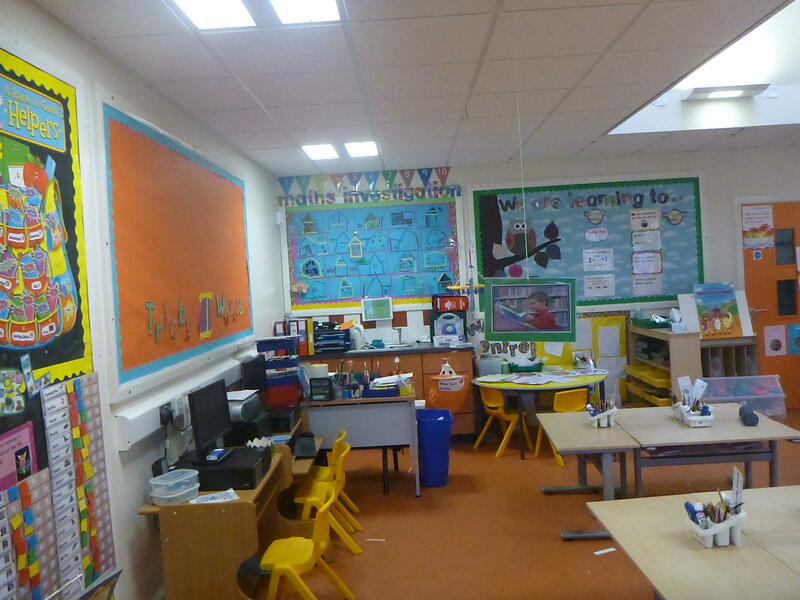 First we are in the P1 classrooms. This is the moment I wanted. Thirty years on, Sarah and I sat down at a desk; not the same desk. In a classroom; not the same classroom. In the same school; in the same school. I enjoyed it. Life had gone full circle yet again. It had taken 30 years for that moment and I savoured it before realising, it was over again. Oddly there was a Sarah in one of the P1 classes and a Johnnie in P2 or P3. 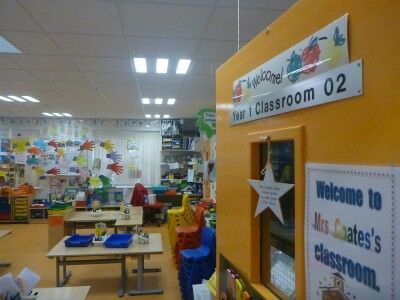 We visited P2 and P3 classrooms and then came the entrance to Miss Lowry’s P4 room. Except Miss Lowry was now P2, or Year 2 as it’s known. Again a tear was held at bay but the sentiment remained. Emotion rose high within. 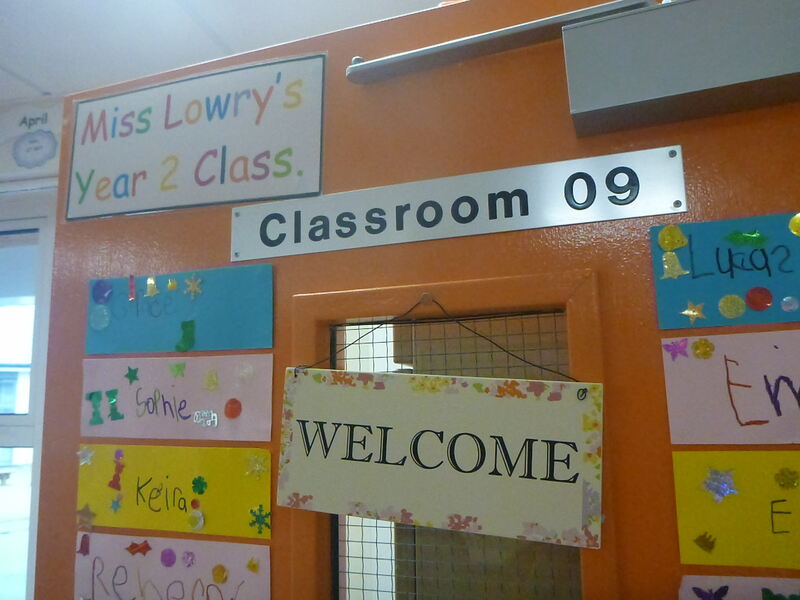 I had fond memories of Miss Lowry’s classes. 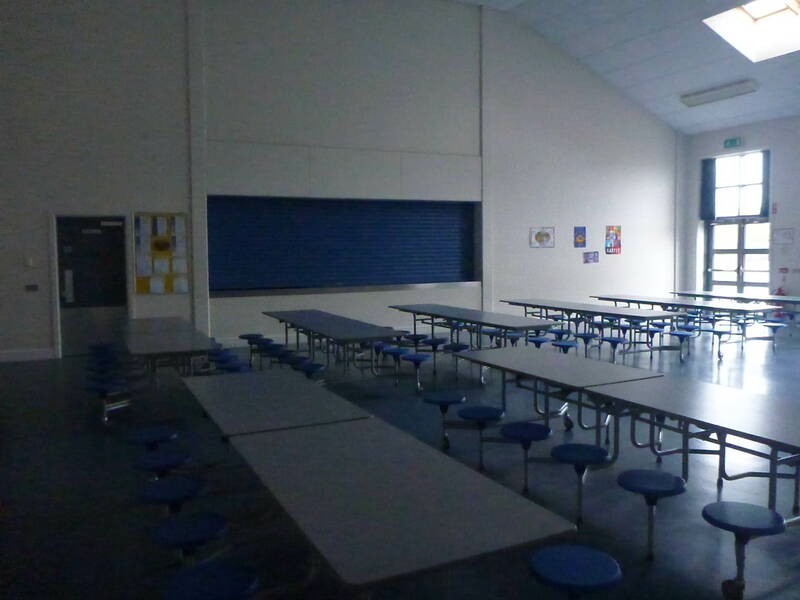 Charades, cold mornings with the heaters on, swimming lessons and the odd bit of lunch time football. Back in those days we did all our own homework, without computers and there was no chance of cheating using sites like write my essay on writemyessayorder.com. In 1991 I passed my 11+ test with a Grade A.
Kilmaine Primary School, as I knew it was knocked down in 2004 and rebuilt. The old buildings were ready for collapse and just not safe any more and a new era arrived. 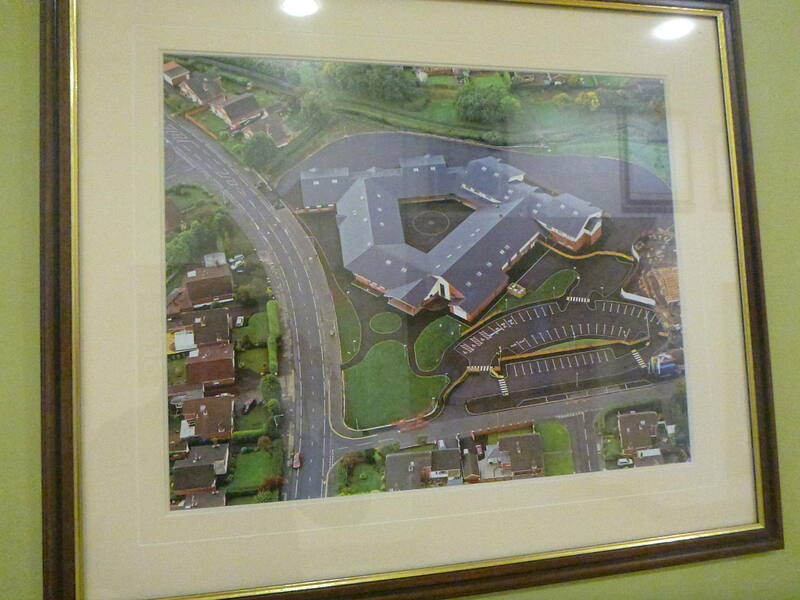 Kilmaine was rebuilt and we were in the new one. This is the new Kilmaine Primary School. There were labelled playgrounds now. There was a sense of looking to the future. The building was pristine. It was all change. It was a long way from the wooden huts we used to study in during the 1980s. Times when nobody normal had mobile phones or laptops. We see a nice display about the Second World War and are told by Mr. Rea about some of the new lessons and themes. 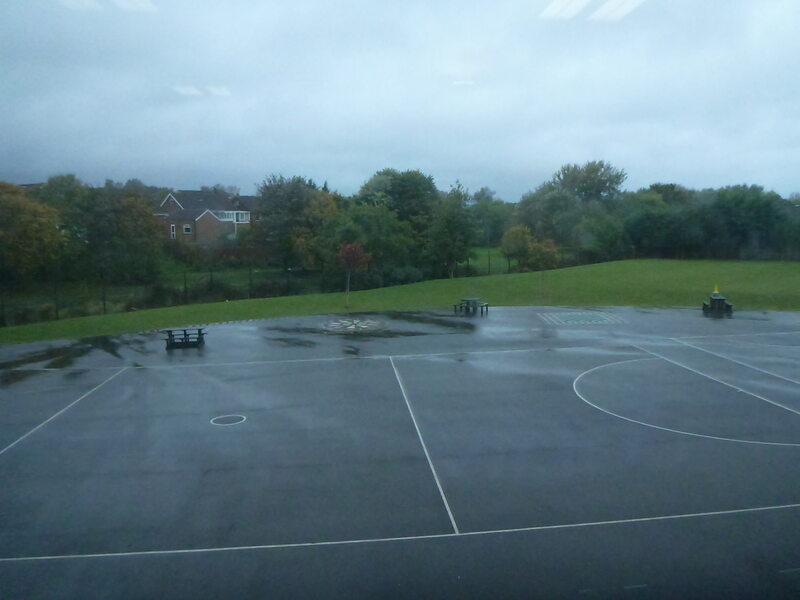 After seeing the playground and current football pitch (which had moved), we headed upstairs. We made our way to the P5 – P7 rooms and we sat down in Mr. Rea’s new room. Again Sarah and I played student, sitting at the new tables. It would be ridiculous not to. 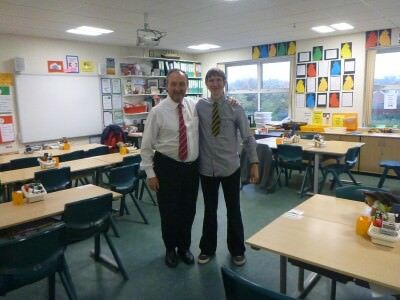 Sarah and I in Mr. Rea’s P7 room – we were in his P7 class in 1990 – 1991. 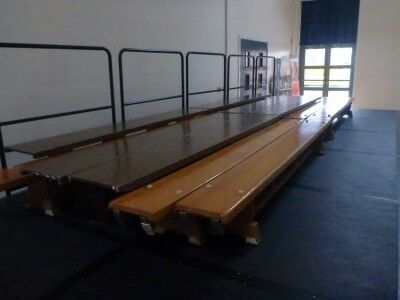 Mr. Rea’s room was in a completely different place to the old one. 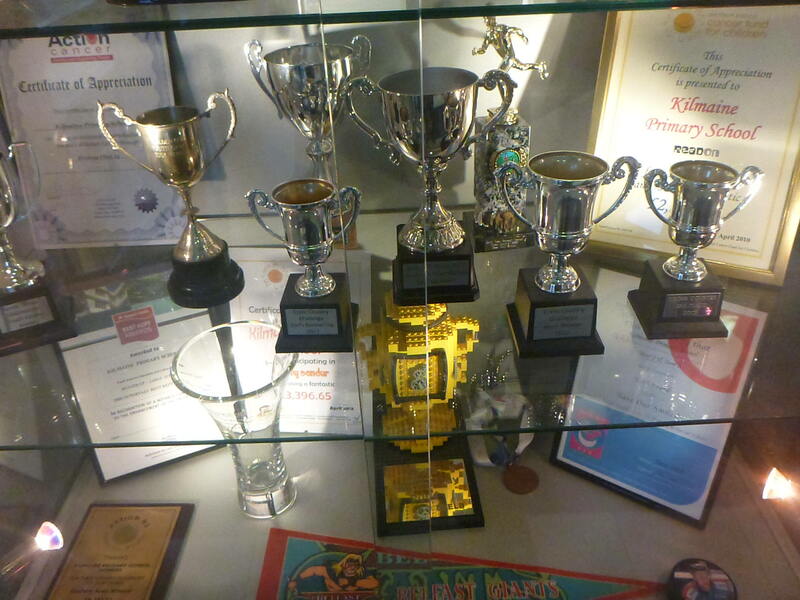 But he reminded us where the old one was. I put my feet on the spot where the old room was, just for sentimental reasons. I had to do it. 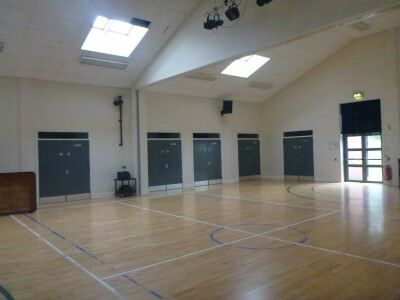 Standing in my old P7 class. Where it was. But now, we were upstairs and at the other side, kind of – as the window looked out on the playground to the right, before it has been to the left. The view was good out Mr. Rea’s window. View from Mr. Rea’s room. Mr. Rea has worked in Kilmaine for years and years and is a real character – a proper enthusiastic teacher that schools could do with more of. Always a smile, always a joke and a laugh and always doing his best to enjoy the busy life of a teacher. We took advantage of the photo opportunity in the classroom with Mr. Rea and then we turned to the screen. Billy Rea turned on the TV on the projector. It was an old school play. 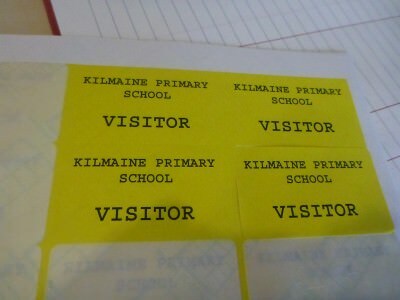 These were the glory days of Kilmaine. We watched the play then talked of the school trip to the Netherlands in 1991. 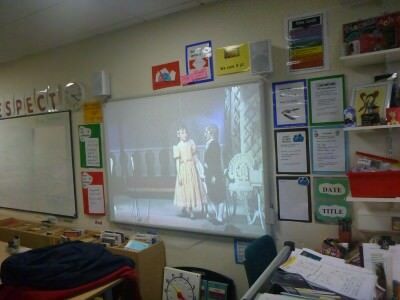 Watching a Kilmaine play from the 1980s on the projector. I told Billy that trip was probably what started me on my adventure. I was 11. It was May 1991. I must have developed a sense of adventure back then. Sarah talked about drama as she had been part of many dramas down the years, as well as holding the honour of best costume at Halloween (Sarah, was a “Barbie Girl” in fancy dress and scooped the prize. I’d estimate she deserved it!). At some point during the tour I remembered that Sarah had once been in a girl band, she had a good voice, and she was part of a band called Honey. We also spoke of former Blue Peter presenter Zoe Salmon, who was also in our year at Kilmaine, and went on to big things. At primary school though she had short hair. We’ll remember that. 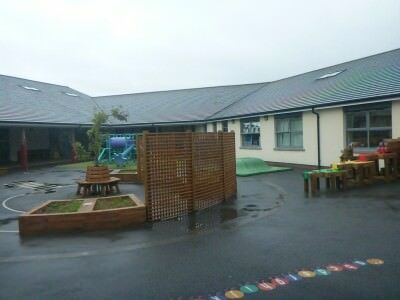 The outer playground at Kilmaine. We also saw the outer playground. The old huts had gone. 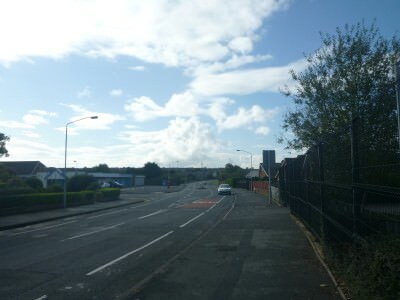 The bridge to Linear Park had gone (unsafe probably) and in the 80s that used to be my everyday entrance and exit to school. But some spirit remained. This still felt it could be a magical place for children. 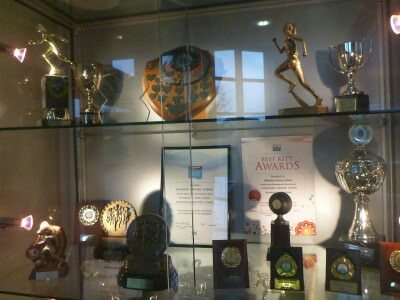 I buzzed again for a few seconds, proud that I had once been a pupil here. There’s something magical about Kilmaine Primary School. We went to the assembly hall and the kitchen. Again – all change. The assembly hall seemed more square than before. The climbing frame had gone – health and safety gone mad. Benches in the assembly hall. 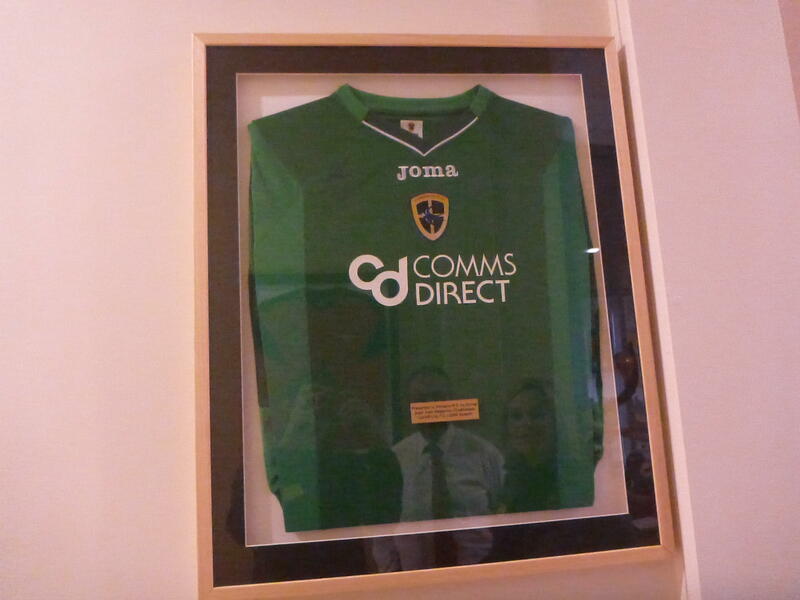 Zoe is Kilmaine’s most famous product in my eyes and she will return sometime for sure. 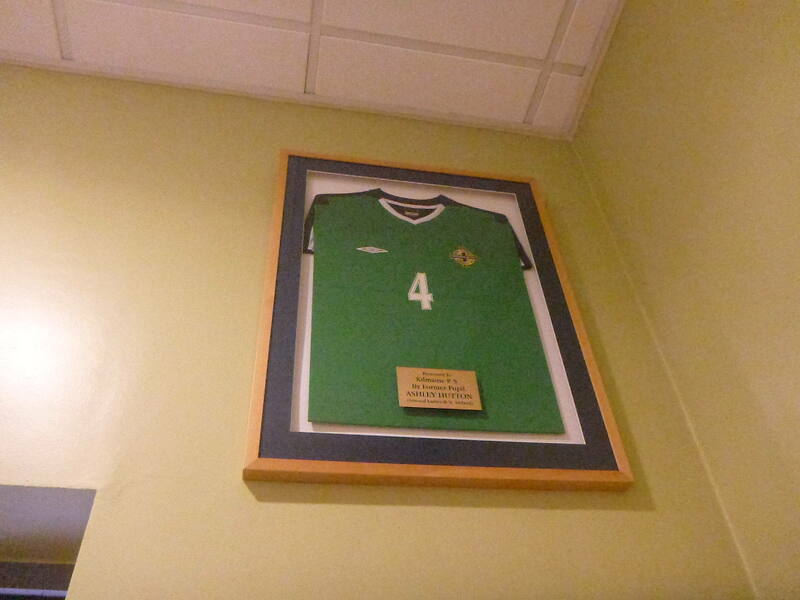 Wall of fame in Kilmaine – Josh Magennis’s shirt. 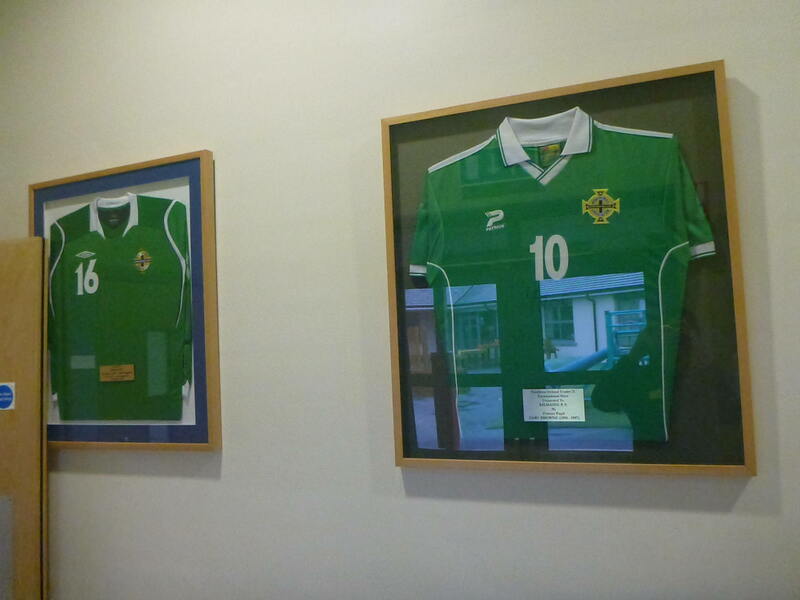 Josh Magennis and Gary Browne’s Northern Ireland shirts. 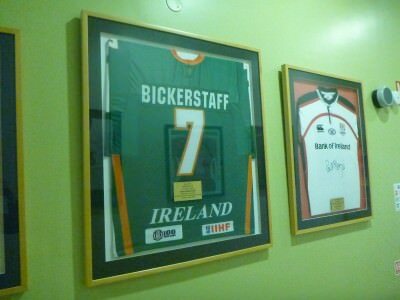 Basketball and Rugby shirts – Bickerstaff and McKenzie. Ashley Hutton’s shirt – she has been a total legend for Northern Ireland ladies team over the years. 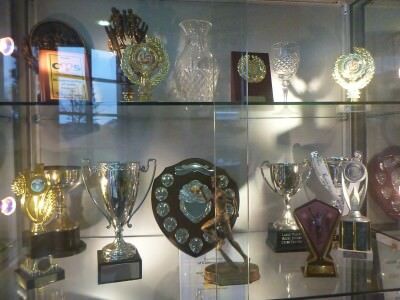 Kilmaine Primary School trophy cabinet. 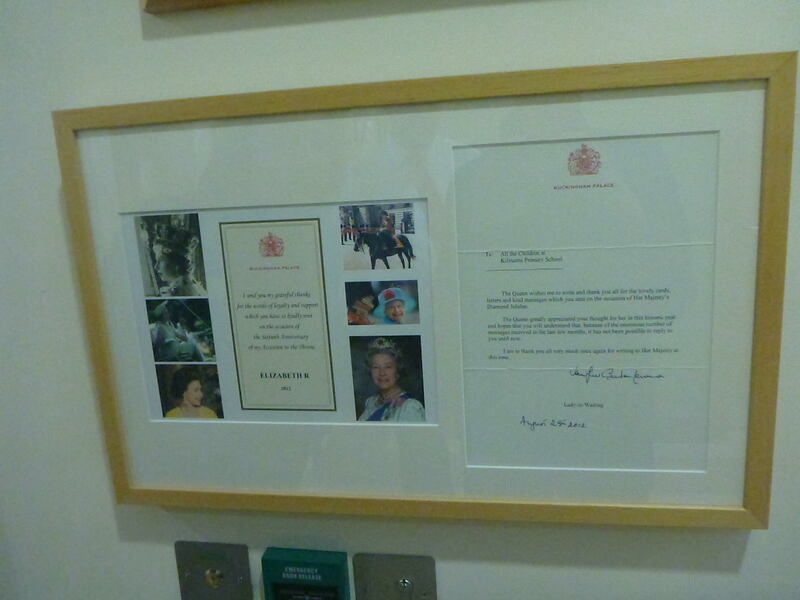 The Queen said that Kilmaine Primary School was the best in the world. The tour was slow and we loved that. Mr. Rea hadn’t aged and this could have been 1991 for all I’d have known. As the tour came to an end, there was no need for tears. 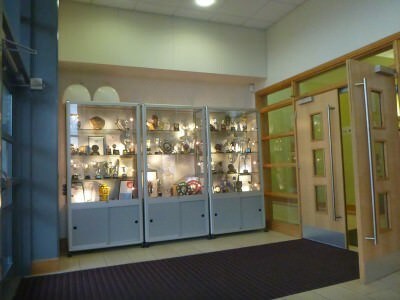 I loved this school and I knew it even more now. I had never been good to my hometown, or area in the years since. But I feel it now. 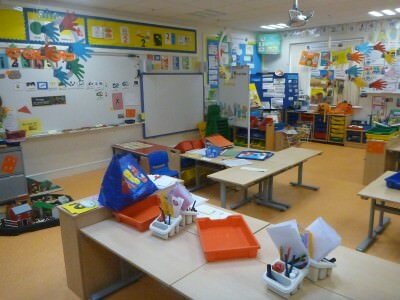 I wouldn’t choose to be born anywhere else, nor go to a different Primary School. Kilmaine Primary School is a special place. 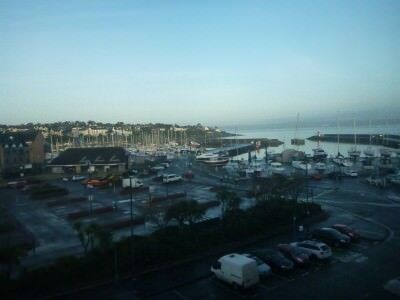 And Bangor is an iconic Northern Irish seaside town. The rain beat down down down on me as I headed to the Royal Hotel in Bangor to check in for the night. Backpacking in my hometown might seem odd but soon it would time for part 2 – the dinner. We were heading to Donegan’s Bar for a meal and reunion. Thanks for the memories, Kilmaine Primary School. 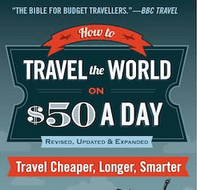 As I prepare to release a book on my journeys around 100 countries, I’m setting aside a chapter for Kilmaine now. That school changed my life…and it could change yours. 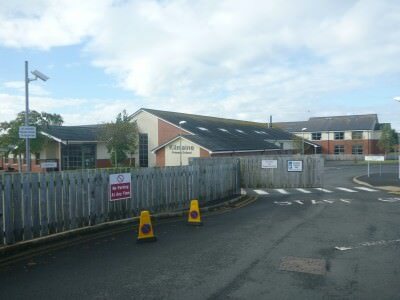 This entry was posted in Bangor, Childhood, Education, Europe, Kilmaine Primary School, Marlo, Northern Ireland, Qualifications, United Kingdom. Bookmark the permalink.